'Toddler' Takes a Robotic Step Forward Scientists have developed a robot that "learns" to walk with each step, allowing it to mimic human movement. The robot -- called "Toddler" -- is featured in this week's issue of the journal Science. NPR's Nell Boyce reports. 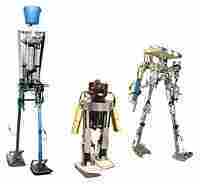 Scientists have developed a robot that "learns" to walk with each step, allowing it to mimic human movement. The robot — called "Toddler" — is featured in this week's issue of the journal Science. NPR's Nell Boyce reports. 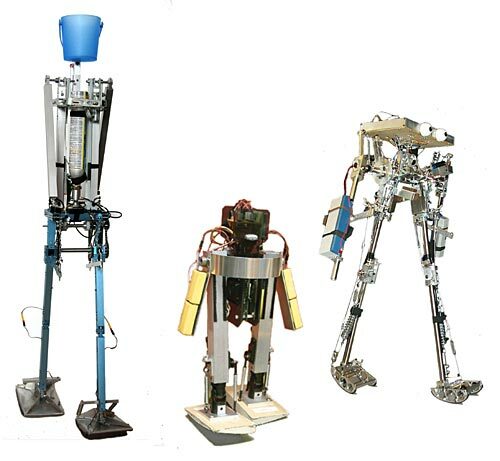 Left to right: Delft, MIT and Cornell walking robots.